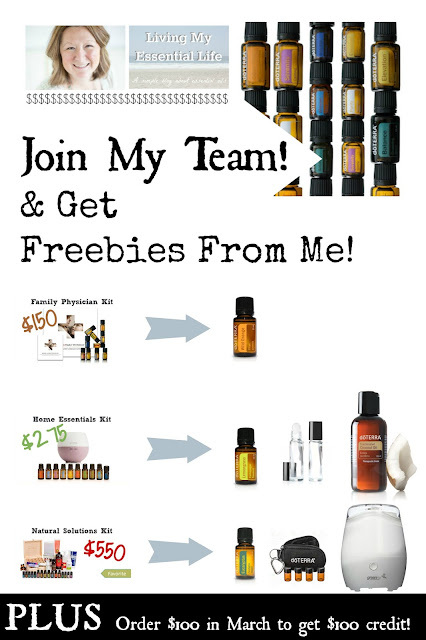 Get $100 in FREE DoTERRA & Other Free Stuff! Enroll by February 7th, 2016! Then order $100 in March to get $100 credit! 15ml Lavender, Lemon, Peppermint, Melaleuca (tea tree), Oregano, Frankincense, Deep Blue, Breathe, DigestZen, OnGuard. PLUS a DoTERRA Petal ultrasonic diffuser. In order to redeem this offer, you will need to follow the HOW TO PURCHASE STEP BY STEP PROCESS. After you are enrolled, add me as a friend on Facebook…Melissa Ann Goers. Message me to let me know you purchased your starter kit and I will add you to my groups! Can't wait to get you started on your essential oil journey!